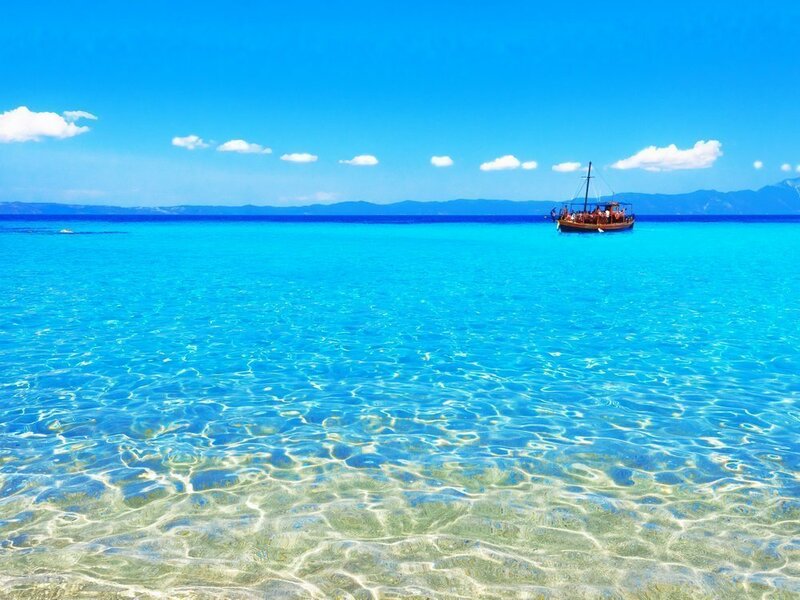 Halkidiki is a beautiful area in central Macedonia, particularly popular thanks to its 550km of amazing beaches, easily accessible, overlooking the Aegean Sea. 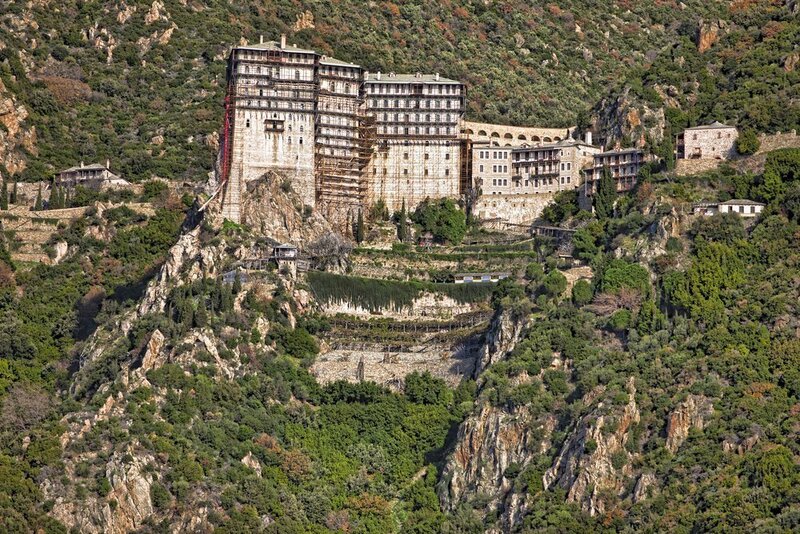 Halkidiki consists of three peninsulas, Kassandra, Sithonia and Mount Athos, an independent monastic state. In Kassandra the largest beaches are Sani and Kallithea, located in Nea Fokea, and the smaller beaches Kryopigi, Hanioti, Pefkochori Paliouri and Agia Paraskevi. In the beautiful village of Kryopigi one can find picturesque fish taverns and small restaurants, while in Kallithea there are many bars and night clubs. In Kassandra, there is also the famous Petralona cave, where one could see the oldest human findings in all Europe. 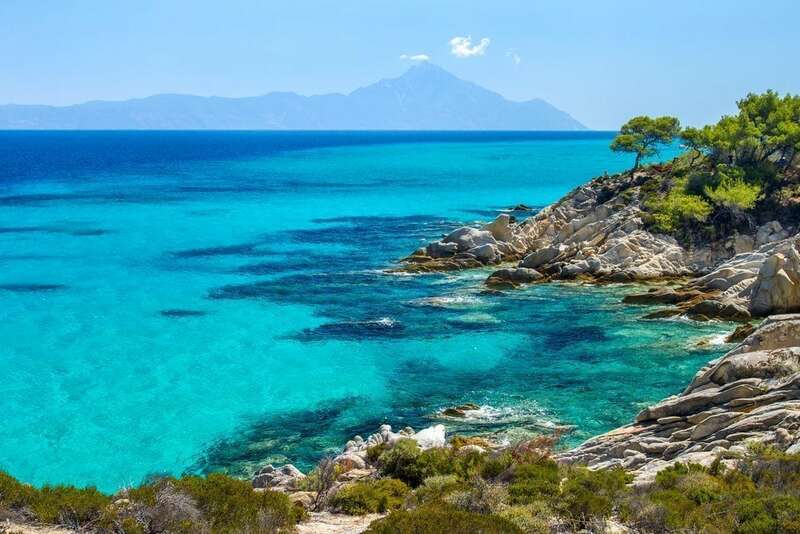 Some of the most beautiful beaches of Halkidiki are located in Sithonia, such as Agios Ioannis, Kalogria, Spathies, Elia and Tripotamos. The beaches of Pisina and Sykia will give you the opportunity to swim overlooking ancient Stagira, the birthplace of the ancient Greek philosopher Aristotle. Ouranoupoli is the gate to Athos, the third peninsula of Halkidiki, with its impressive tower and its long beach as well as the islands of Ammouliani and Drenia. Even the mountainous area of Halkidiki offers many opportunities for sports, with more than 20 hiking and cycling routes in its beautiful forests and picturesque villages.